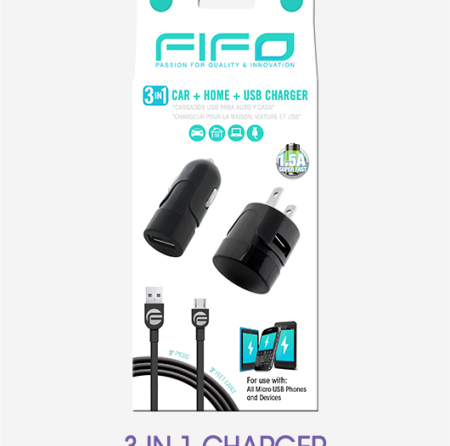 With a compact and sleek design, the intelligent USB charging combo is the perfect charger for your car, home, office or to take with you when traveling. The USB car charger works with the cigarette lighter of most cars. The USB home charger helps you power-up with any AC wall outlet, in addition to that, It provides unlimited talk and stand by time.